COME ONE, COME ALL AND TELL YOUR FRIENDS! 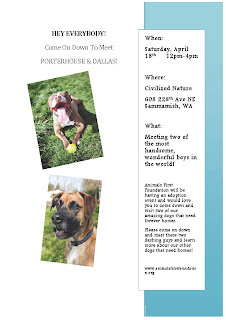 Adoption event for Dallas and Porterhouse! Two amazing dogs who need a good home to love them! They are kind, funny and full of love!